SnapCacklePop: Sam Smith doesn't get drowned in the shadows with new album..! Sam Smith doesn't get drowned in the shadows with new album..! 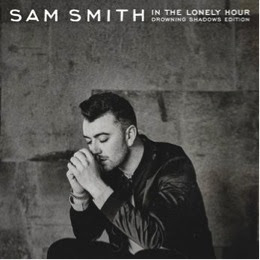 Global popstar Sam Smith will release In The Lonely Hour: The Drowning Shadows Edition - the extended version of his 9 million selling chart topping album containing a second CD of new and exclusive tracks. The exciting new album features an exclusive new track Drowning Shadows, co-written by Smith and Fraser T. Smith and produced by Jimmy Napes and Steve Fitzmaurice. The new track elegantly opens the second disc of the extended edition and is a stripped back, heart wrenching ballad that debuts Sam's impressive vocals over cascading strings and piano. The Drowning Shadows Edition also includes Sam Smith's breath-taking covers of Amy Winehouse's Love Is A Losing Game and Whitney Houston's How Will I Know? alongside collaborations with A$AP Rocky, Mary J Blige and John Legend. Sam Smith also announced recently that he is the latest in a long line of superstars to sing the James Bond theme song. Smith has released Writing's On The Wall, the bond theme song for the forthcoming Spectre film making it the first James Bond theme song recorded by a British male solo artist since 1965. The Drowning Shadows Edition is out later this month but you can listen to the new track below..!